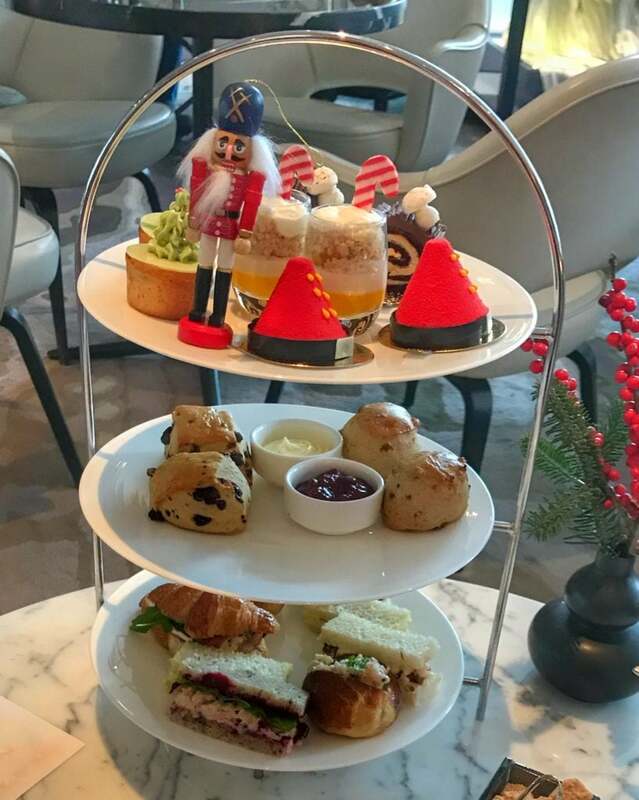 The cost of the Nutcracker High Tea also include the cocktail (or mocktail) along with a small takeaway item…. unfortunately we did not receive the takeaway item. Two email follow ups regarding this have gone unanswered. If you do make a reservation it would be good to clarify this on premises, I left in a rush that day so it completely slipped my mind. This was not my first time at the Shangri-La, but every time feels like the first because the ambience just has something special about it. The Lobby Lounge is literally in the middle of the lobby of the hotel. Floor to ceiling windows allow you to view the snowy wonderland outside while a modern rectangular fireplace in the lounge make you feel cozy and festive. 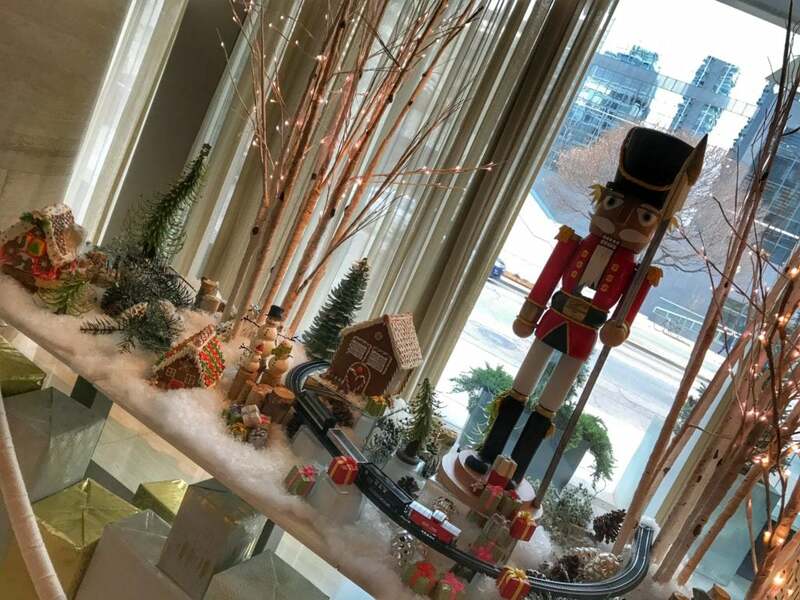 Currently there is a gorgeous Christmas tree that gives the lobby the perfect elegant Christmas vibe. I had requested a table as close to the fireplace as possible and we weren’t disappointed, a low 2 top table just to one side of the fireplace gave us the perfect view all around the lobby…. I will never stop loving people watching! The whole hotel is a balance of modern elegance that makes you feel posh but not cold, everything comes off as warm somehow. The staff are all genuinely pleasant and engaging. I mean how irritating is it to go to an expensive restaurant or hotel and then deal with snobbery and condescension, thankfully the Shangri-La keeps that all far from their property. As far as your tea to help keep your belly warm while the treats make it full, there is a selection of 11 teas available for this service. They are a combination of signature teas the Shangri-La always carries along with some special seasonal blends that were created. 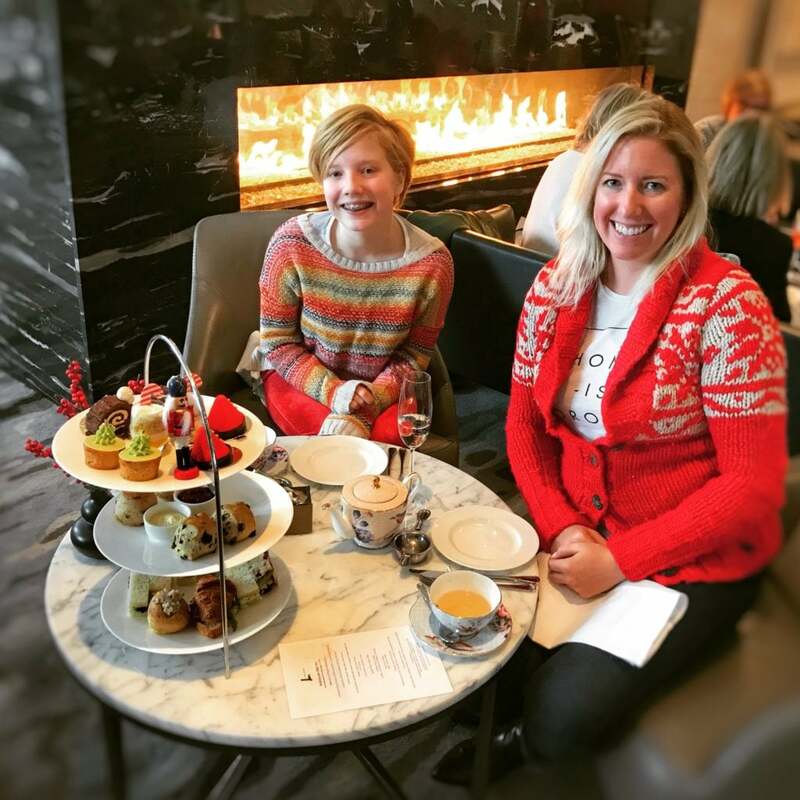 You still have time to make it out to this years Nutcracker High Tea. It runs until December 31st and has daily seatings at 2pm, 2:30pm, 4pm, and 4:30pm. There is an additional 1pm seating available on Saturday and Sundays until December 31st. Please note there is a 1.5 hour seating limit for the high tea do to the timings of the services. 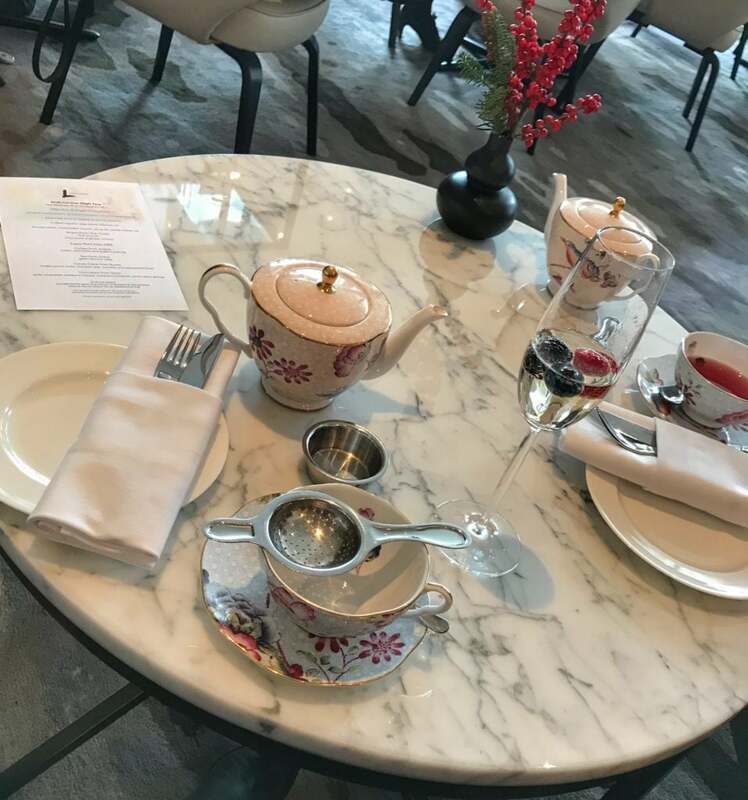 Contact information for the Shangri-La high tea can be found HERE.